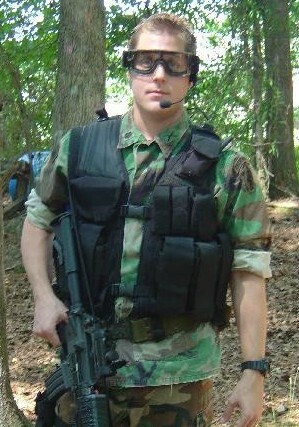 Avid paintballer since 1990 and have been involved with military simulation gaming at Fort Benning GA from 1992 to 1996. Technical support team lead for Interland Inc, the largest web hosting company for small and medium sized businesses in the world. Met Echo5hotel in 2001. "Wherever the enemy goes, let our troops go also."